Neat whites and trusty blue denims are no doubt any girl's ultimate summer staples. 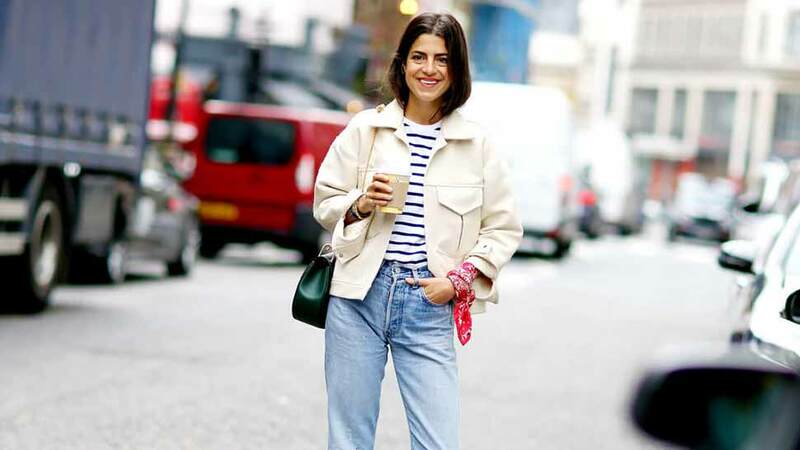 Still, like all go-tos, this well-loved look can start feeling pretty stale...so it's time for a quick style inspo roundup! There an infinite number of ways to wear the timeless color combo—all you need are some ultra-chic outfit pegs! And as always, we've got your back. Keep scrolling! 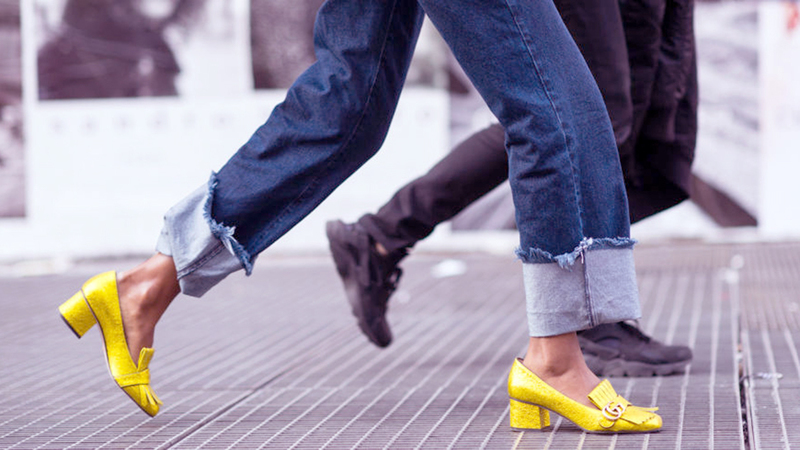 The flared jean has made a comeback of epic proportions, FYI. 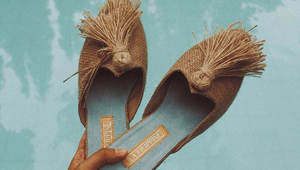 Pair yours with a simple white tee and patent leather ankle boots for a lowkey lewk. Add on a light duster coat if you feel like it! Key piece: logo belt! 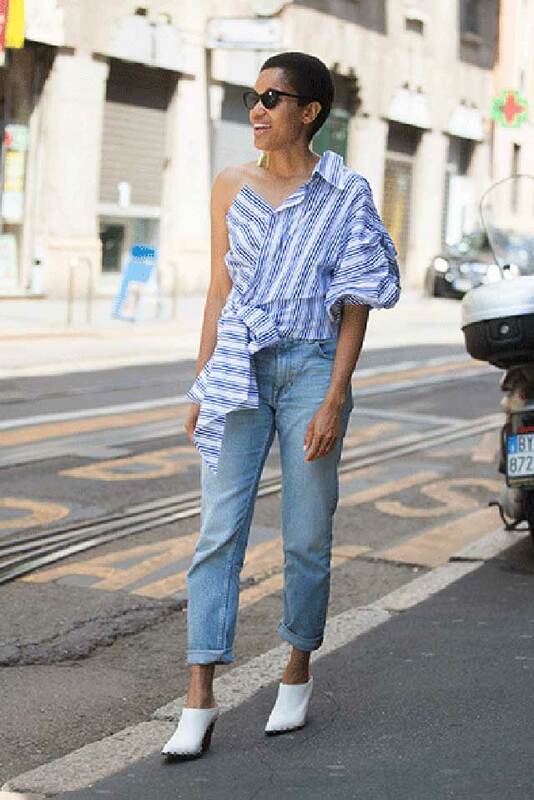 Wear yours cinched around a denim mini and a bare-shouldered button-down (with the edges peeking out from under your hemline, natch). 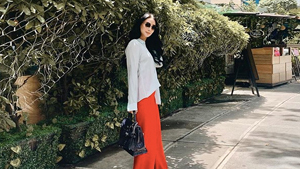 Leave an extra-long shirt partly unbuttoned so it trails prettily behind you as you walk—Gucci accessories optional, but oh-so-welcome. You're invited to this party in the back. 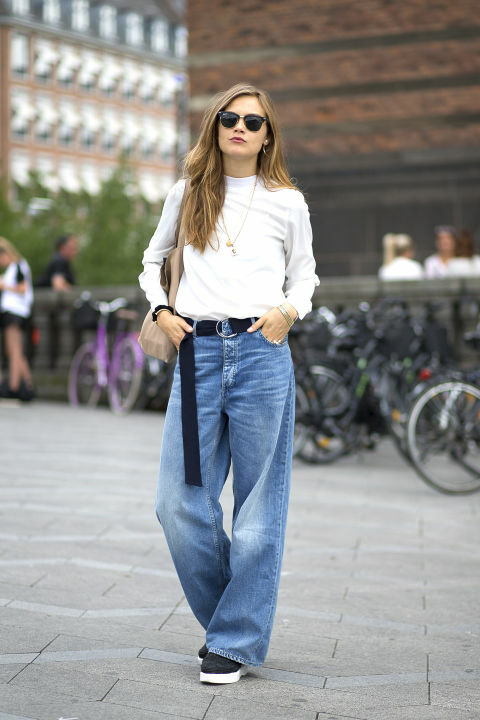 We looove this fusion between mom jeans and track pants. Track jeans? Yes, please. Workwear inspo! Slim, dark jeans and black suede mules pare down a structured white jacket enough to see you to the office and after-hours plans. The classic t-shirt and jeans combo gets an upgrade care of a layered black cami, printed neckscarf, and striped gym socks. Selena Gomez (and her awe-inspiring midriff) sure can werq denim on denim. Cropped flares and a belted wrap top serve as the perfect, understated backdrop for those gorgeous lace-up pumps. 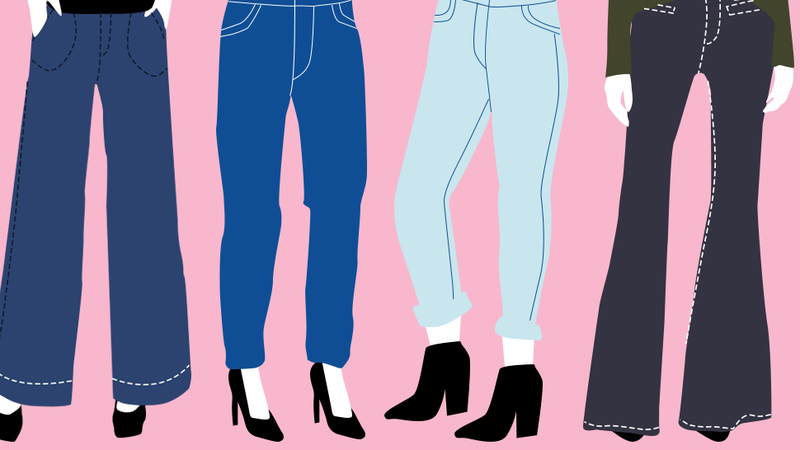 Danielle Bernstein declares that, yes, you can wear overalls like the big girl you are. 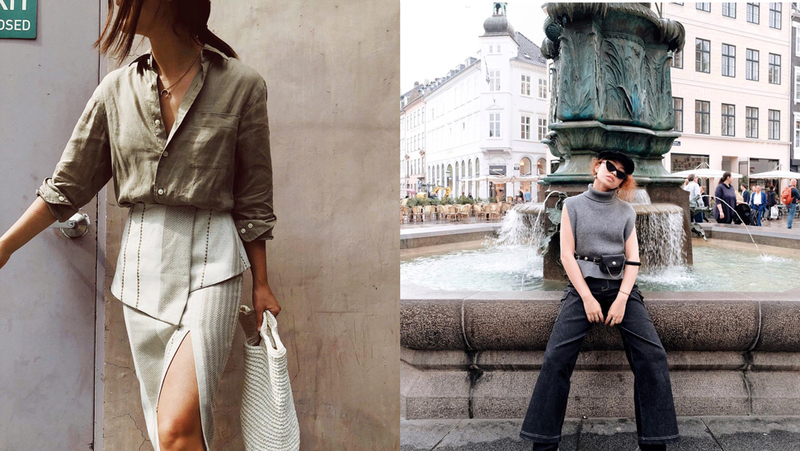 Denim culottes are fantastic alternative to your usual boyfriends or skinnies. 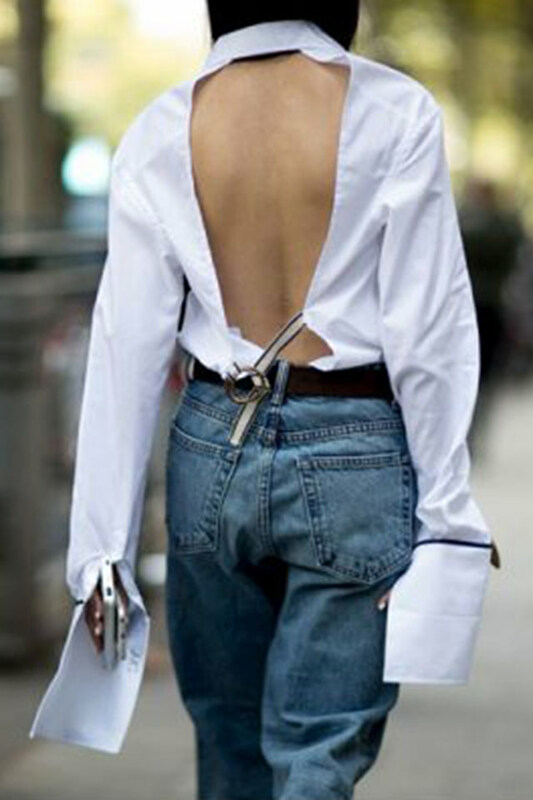 Opt out of the usual by deconstructing your favorite shirt in the most outré way you possibly can. Fashion is all about experimenting, ladies! Here's an idea, brought to you by Gigi Hadid: throw a distressed denim mini over ripped jeans and call it a day. Thank the early '90s for this loose, loungey look! We're welcoming it back with wide-open arms. Swathe yourself in a breezy, striped wrap skirt for that feminine, I'm-summering-in-Santorini touch. Introducing the patched denim pencil skirt of our dreams, care of Linda Tol. Styling tip: add the wide, striped ribbon but subtract the coat (we are in sunny Manila, after all).